Are you looking for a new amplifier for your car's sound system? Well, then you are in the right place. In this article, we will take a look at some of the best 3000-watt amps on the market. Finding the right amp for your car sound system can be hard because you need something with enough power to push all your other equipment. You also need to find something that is durable though that will last a while, and most importantly, you need to find something that fits into your vehicle. It doesn’t matter how good of amplifier you have for your car if it doesn’t fit after all. Luckily for you after reading this you will know everything you need to know about a few of the best 3000-watt amplifiers on the market. 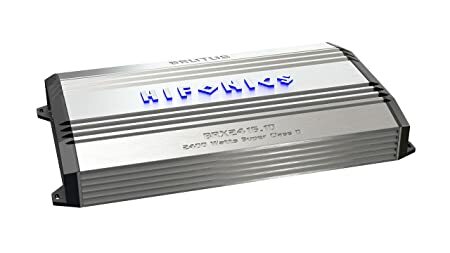 The first car amplifier we are going to look at is from AudioPipe. It is their APCL30001D. 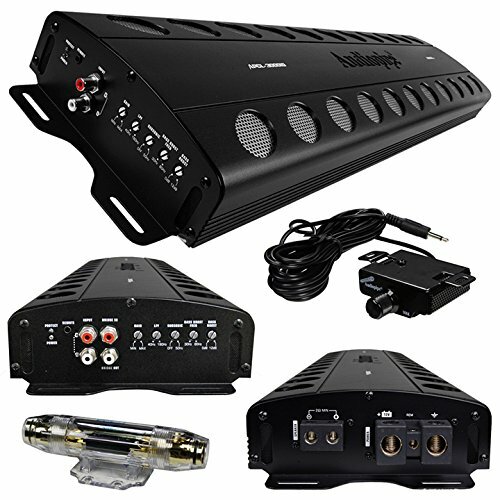 This amplifier is a convenient size at 35 inches x 9 inches x 4 inches. The weight of it matches this and is what you would expect. It weighs 20 pounds, making it not too heavy, but also it is not flimsy either. The build quality of the AudioPipe APCL30001D is top of the line. The wattage of this amplifier is the same as the others on this list at 3000. The APCL30001D is designed as a monoblock unit. This makes it perfect for use in your car. It has a variety of inputs and outputs. This makes it easy to hook up the rest of your sound system to it. The input level is .2 volts all the way up to 5 volts. This means it can push pretty much any sound equipment you might already have. The subsonic filter can handle 5 hertz all the way to 50 Hertz. This wide range is really handy because most equipment will work with it. Users really love the AudioPipe APCL30001D. It does exactly what it is designed to do. It is easy to use and install. The power that this amp pack is impressive, and it is a very strong 3000-watt amp. Your sound system will be bumping with this amp, especially if you pair the right subs and other equipment with it. Next, we have the Hifonics BRX3016.1D. 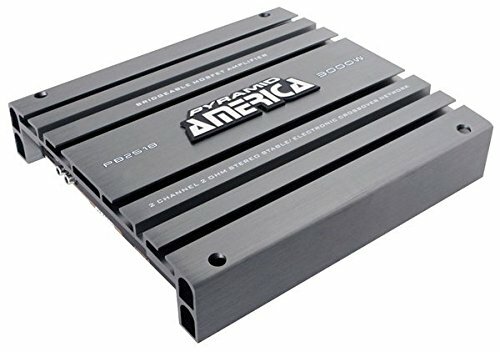 This is another top 3000-watt car amplifier. It is a fairly normal size at 17.7 inches x 9.8 inches x 2.4 inches. It also weights a fairly standard 16 pounds. This means that you can fit it into most vehicles without any issues. You don’t have to worry about adding a bunch of weight and losing speed. Also, the construction of the BRX3016.1D is top notch. It is durable. The hardware is packed into a compact and solid case. The Hifonics is also in a monoblock designed. This means everything is packed into one unit. This unit is a subwoofer amplifier. On top of being 3000 watts, it is 1 Ohm stable. You can also strap the unit down, making it easy to install. The Hifonics BRX3016.1D has an on-board electronic crossover, meaning you can use it with all your other equipment. It even has a boost EQ. One of the last nice things is it has two LED lights built in. A green one for power and a red one that is your protect indicator. On top of all this, it even comes with a bass remote. Users really like the BRX3016.1D because of all it has to offer, and they like how well it functions. It is easy to use and of this amplifie rso love that it is extremely power efficient, but that it still packs top quality sound quality. The Hifonics is a great unit with its Ultra-fine mosfets circuit. It is hard to go wrong with this unit. The last unit is the Pyramid PB2518. It is another normal size unit. It measures 10.24’ inches × 2.26 inches × 11.02 inches. It also only weighs a modest 8.14 pounds. This makes this unit much lighter than the others, but it still packs a good punch and works great. The PB2518 is built with top quality and is durable. It is a two channel unit. It can be turned on with a remote or a control. Like some of the other units, it has an on indicator and a protect LED indicator. The Pyramid has two times 1500 watt max output. This means that it is a 300amp, especially, but not all in one system. It has a 2-ohm stereo stable, though, which is more than some of the previous units. It also is built with a heavy-duty aluminum alloy heat sink to keep the unit cool. It has a fully adjustable electronic crossover which means you can use it with all your other sound gear. It also has a variable bass boost that can be set from zero to twelve decibels at 50 Hertz. The Pyramid PB2518 is a powerful unit that has all the inputs and outputs you might need for your car sound system. The things to remember though is this unit is not a monoblock even though it is 3000 watts. Users still like it though for what it does as long as they are aware of this at the time of buying. If you are wanting something that is single channel though, then this is not the unit for you. After reading this you now know what a few of the best 3000-watt amps have available. You know the key is to find one that is the right size for your ride, and also to find one that has the right inputs and outputs that you need. The ones we have looked at here all have great sound and build quality. You really can’t go wrong with any of them. Anyone of these could be the best 3000-watt amplifier for your needs. It just depends on what you are needing. However, no matter which one you go with your sound system in your vehicle will sound great.